In our recent episode “Science is the Tops,” we explored the physics of top spinning and how to make a top using a marker and some cardboard. But, that was a solid top disc. 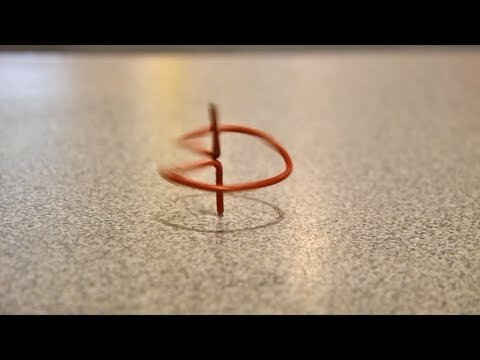 Is it possible to make a top out of a paperclip? Well, actually it is, but it takes a certain amount of patience. Give it a try and see!